Project Linda is a concept being shown at CES 2018. Razer typically puts its wacky concepts on display at CES 2018, and this year is no different. 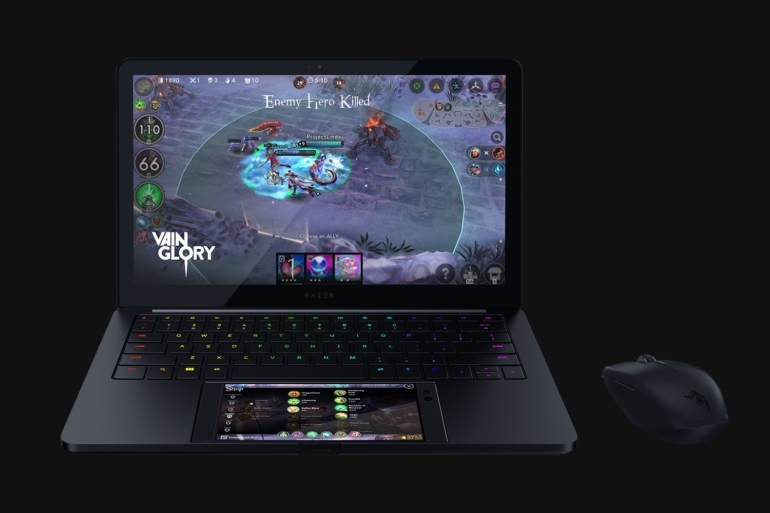 Project Linda, Razer’s latest concept, is an ultra-portable laptop that uses Razer’s Android-powered phone to operate the device. Docked where you’d typically find a trackpad, the Razer Phone functions as a touchpad and an interactive second display. The Razer Phone powers the laptop, while the laptop brings the keyboard, an extra battery, and a 13.3 inch HD touchscreen. A built-in keyboard gives the phone’s system ease in typing, as well as navigation, app selection, and searching the web. Special Android keys on the Project Linda keyboard optimize it for use with the phone—which is, of course, the only way the laptop can be used. But because it’s only using the phone, there is no processing power specifically for the laptop. Instead, Razer added an extra 200 GB of storage as well as a 720p webcam, a battery, and a microphone. Project Linda proves interesting for mobile gaming, adding mouse and keyboard control for extra precision. That’s huge for someone playing a competitive mobile game like Vainglory, and something that could provide a competitive edge. But like Razer’s Project Valerie, a three-screen laptop from CES 2017, it’s unlikely the concept will hit the market soon—or ever. Razer’s concept products are typically just a display of the company’s creativity—a way to set itself apart from others at the huge show.